Last week, New Zealand awarded Eminem about $415,000 as part of his lawsuit against the country’s conservative National political party, which had used a suspiciously Eminem-esque song titled “Eminem-esque” in a campaign ad. 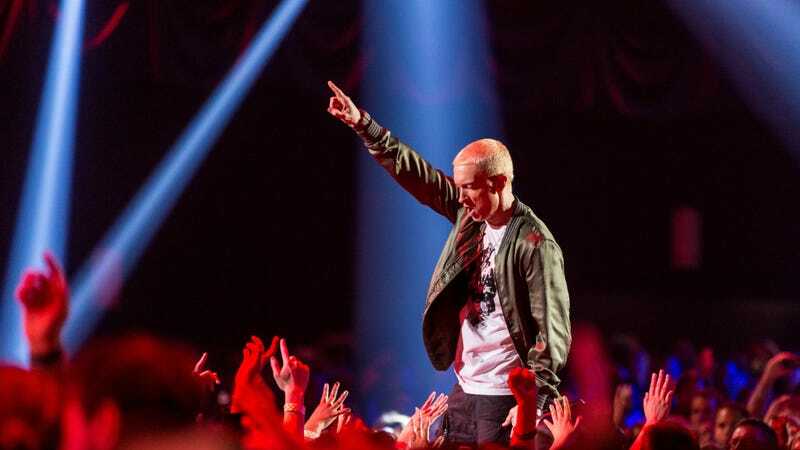 Now, according to Page Six, a representative for Eminem has explained that he didn’t actually initiate the lawsuit, but a publishing company that controls some of his catalog—Eight Mile Style—did. The representative says Eminem wasn’t actually consulted at all on the lawsuit, so any money he gets from it will be donated to hurricane relief. The statement doesn’t get any more specific than that about Eminem’s donation plans, but it does add that Eminem has encouraged Eight Mile Style to also donate the money it gets from the lawsuit to the victims of the recent hurricanes.